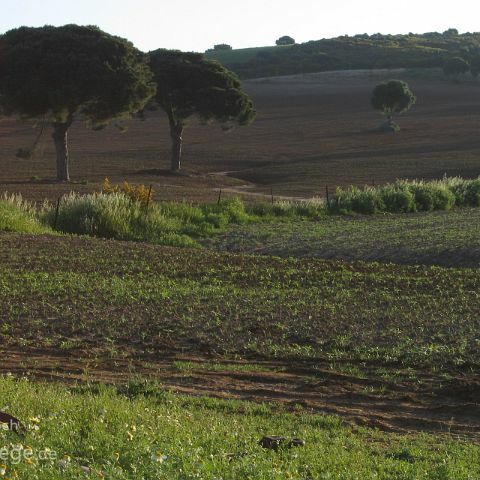 Faszinierende Reisebilder aus der Provinz Cadiz, Andalusien: Cadiz, Cap Trafalgar, Vejer de la Frontera, Sierra de Grazalema, Ubrique, Zahara de la Sierra. 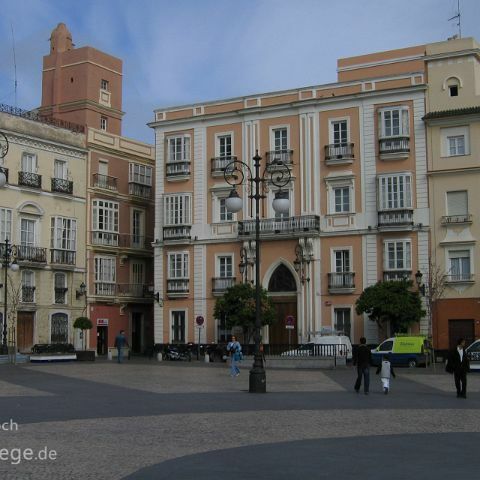 Cádiz gehört zu den ältesten Städten Westeuropas. Sie liegt wunderbar am Ende einer Landzunge - nur 20 km langen Damm über Marschland zu erreichen und hat eine sehenswerte Altstadt. 40km südlich liegt das Kap Trafalgar ein beliebter Treffpunkt für Kite-Surfer. 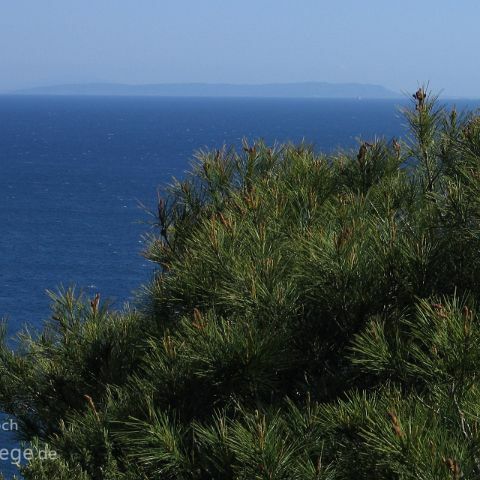 Am 21.10.1805 fand hier die berühmte Seeschlacht von Trafalgar statt. Die Sierra de Grazalema wurde bereits 1984 zum Naturpark erklärt. 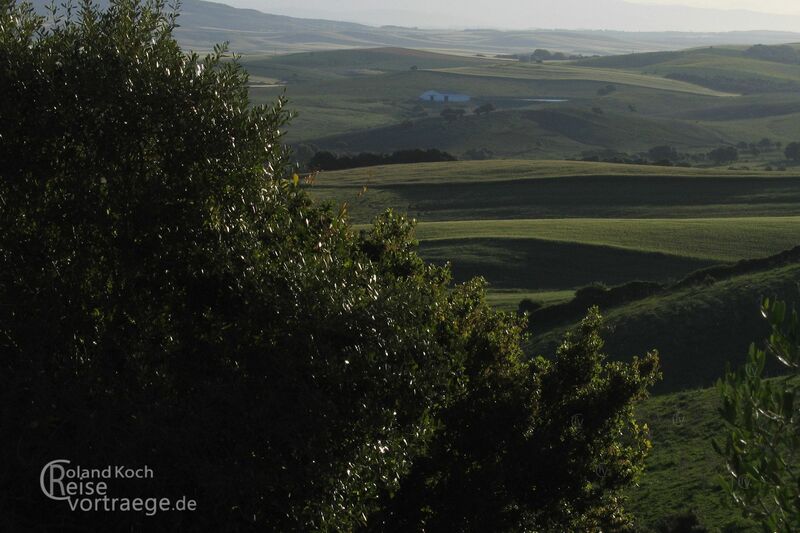 Die Sierra de Grazalema ist ein Kalksteingebirge mit tiefen Schluchten und bis zu 1.654 m Höhe und ist die erste Hürde für Atlantiklandeinwärts ziehende Wolken. Viel Vergnügen beim Anschauen. 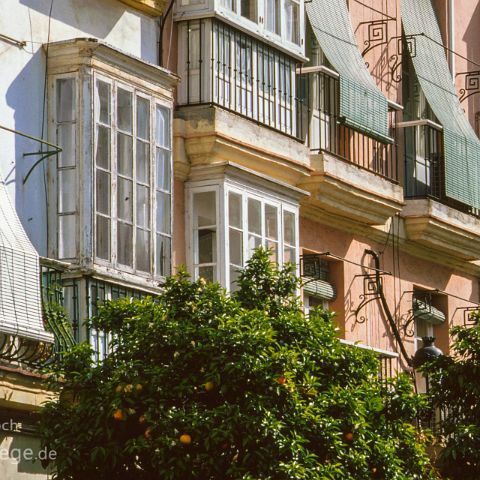 Fascinating travel pictures from the province of Cadiz, Andalusia: Cadiz, Cap Trafalgar, Vejer de la Frontera, Sierra de Grazalema, Ubrique, Zahara de la Sierra. 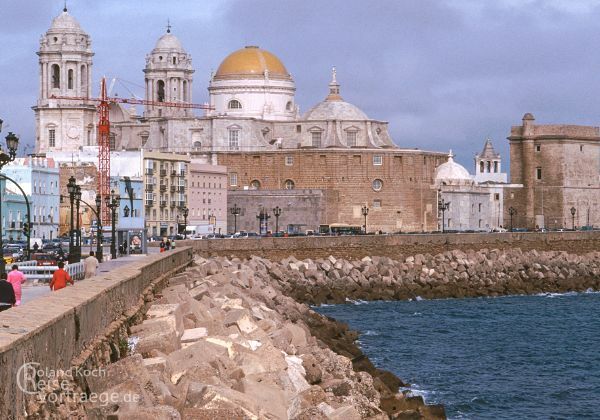 Cádiz is one of the oldest cities in Western Europe. It is wonderfully located at the end of a promontory - only accessible via a 20 km long dam over marshland and has a worth seeing old town. 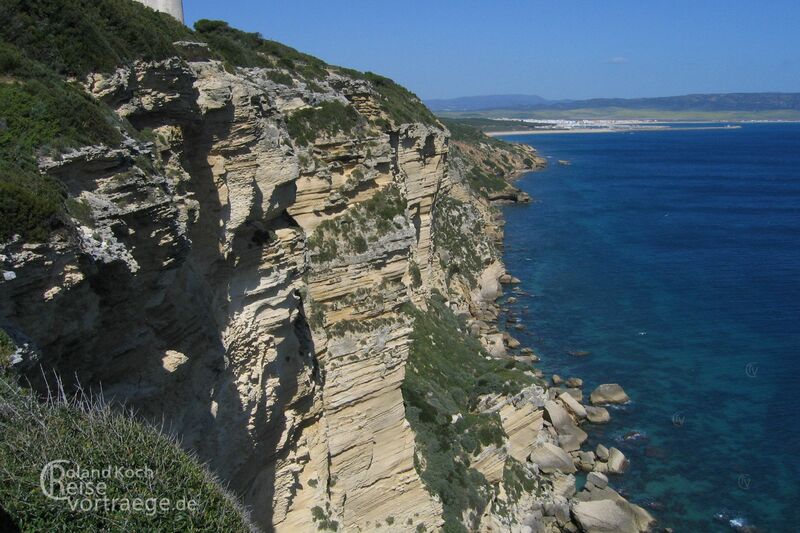 40km south is the Cape Trafalgar a popular meeting place for kite surfers. On 21.10.1805 the famous sea battle of Trafalgar took place here. The Sierra de Grazalema was already declared a nature park in 1984. The Sierra de Grazalema is a limestone mountain range with deep ravines and up to 1,654 m altitude and is the first hurdle for inland clouds from the Atlantic. Enjoy watching. 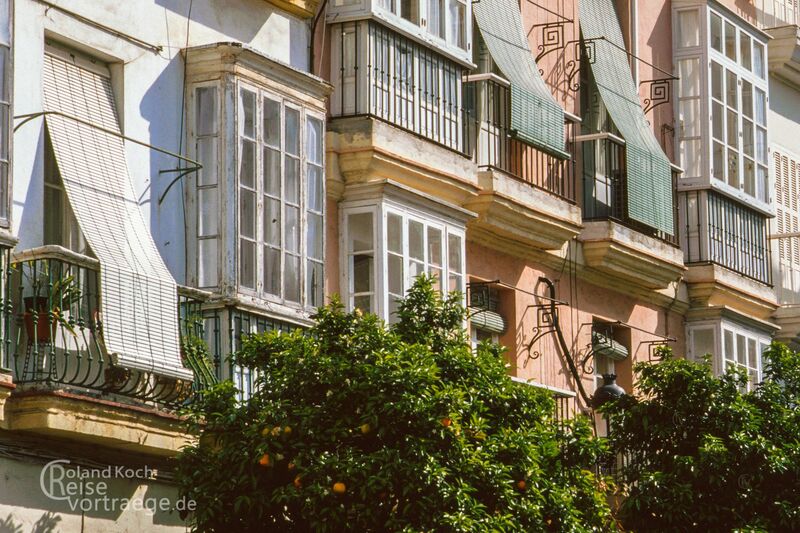 Fascinating travel pictures from the province of Cadiz, Andalusia: Cadiz, Cap Trafalgar, Vejer de la Frontera, Sierra de Grazalema, Ubrique, Zahara de la Sierra. 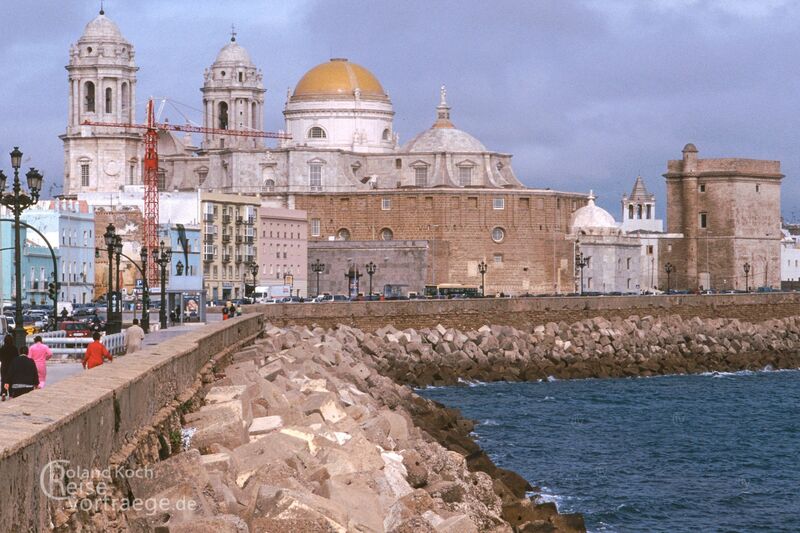 Cádiz is one of the oldest cities in Western Europe. It lies wonderfully at the end of a promontory - only 20 km long dam over marshland to reach and has a worth seeing old town. 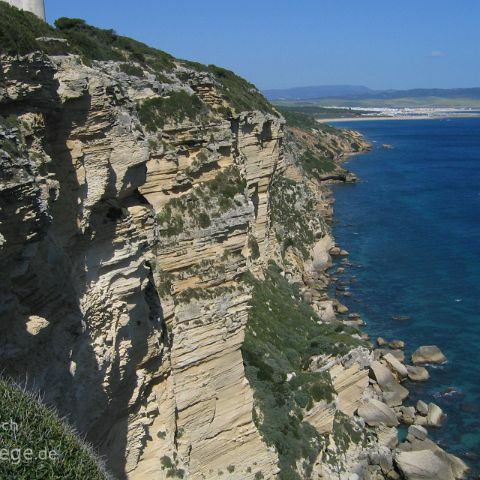 40km south is the Cape Trafalgar a popular meeting place for kite surfers. On 21.10.1805 the famous sea battle of Trafalgar took place here. The Sierra de Grazalema was already declared a nature park in 1984. The Sierra de Grazalema is a limestone mountain range with deep gorges and up to 1,654 m altitude and is the first hurdle for Atlantic inland moving clouds. Enjoy watching. 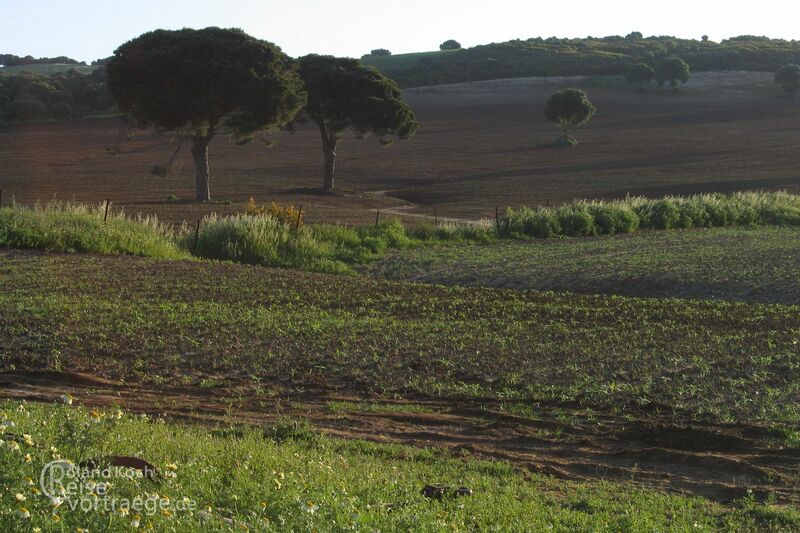 Faszinierende Reisebilder aus der Provinz Cadiz, Andalusien: Cadiz, Cap Trafalgar, Vejer de la Frontera, Sierra de Grazalema, Ubrique, Zahara de la Sierra. 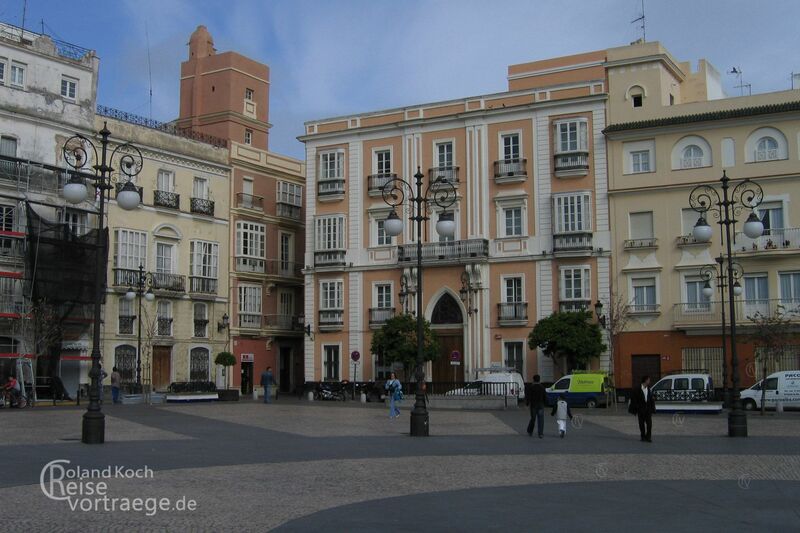 Cádiz gehört zu den ältesten Städten Westeuropas. Sie liegt wunderbar am Ende einer Landzunge - nur 20 km langen Damm über Marschland zu erreichen und hat eine sehenswerte Altstadt. 40km südlich liegt das Kap Trafalgar ein beliebter Treffpunkt für Kite-Surfer. 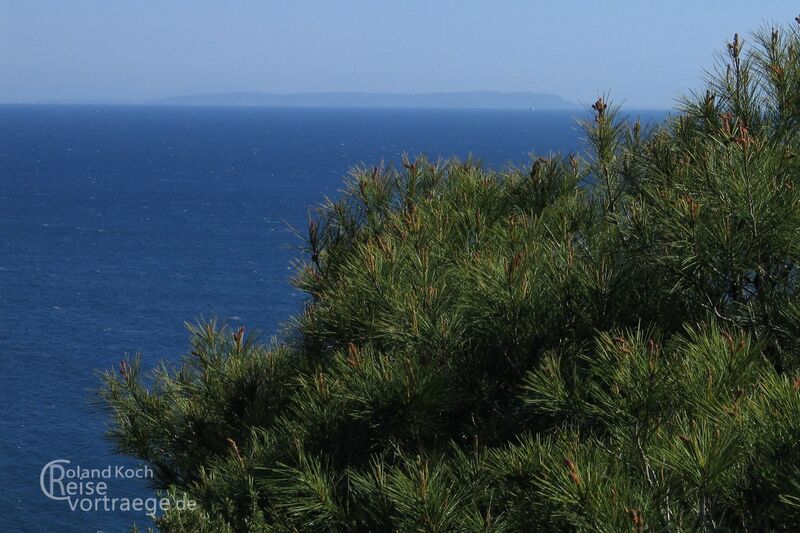 Am 21.10.1805 fand hier die berühmte Seeschlacht von Trafalgar statt. Die Sierra de Grazalema wurde bereits 1984 zum Naturpark erklärt. 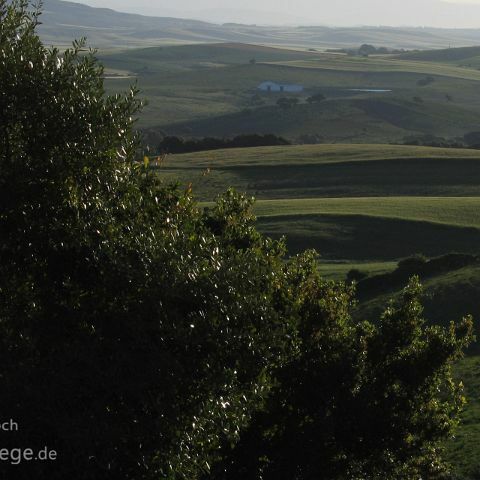 Die Sierra de Grazalema ist ein Kalksteingebirge mit tiefen Schluchten und bis zu 1.654 m Höhe und ist die erste Hürde für Atlantiklandeinwärts ziehende Wolken. Viel Vergnügen beim Anschauen. 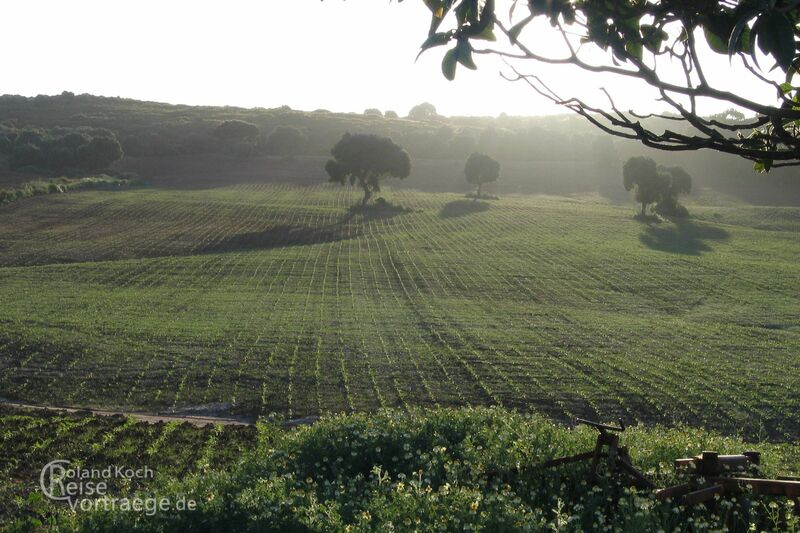 Fascinating travel pictures from the province of Cadiz, Andalusia: Cadiz, Cap Trafalgar, Vejer de la Frontera, Sierra de Grazalema, Ubrique, Zahara de la Sierra. 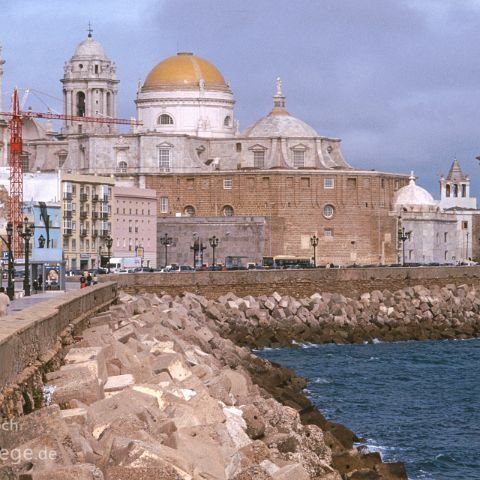 Cádiz is one of the oldest cities in Western Europe. It is wonderfully located at the end of a promontory - only accessible via a 20 km long dam over marshland and has a worth seeing old town. 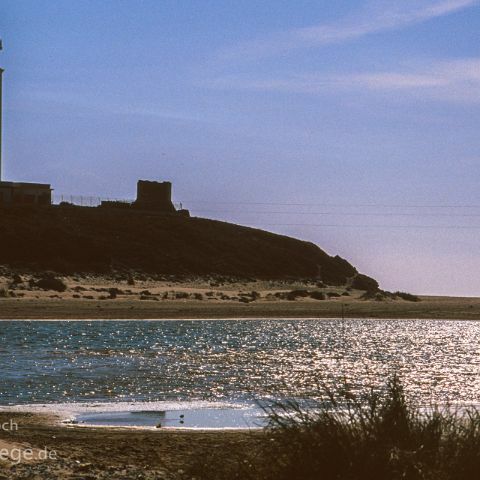 40km south is the Cape Trafalgar a popular meeting place for kite surfers. On 21.10.1805 the famous sea battle of Trafalgar took place here. The Sierra de Grazalema was already declared a nature park in 1984. The Sierra de Grazalema is a limestone mountain range with deep ravines and up to 1,654 m altitude and is the first hurdle for inland clouds from the Atlantic. Enjoy watching. 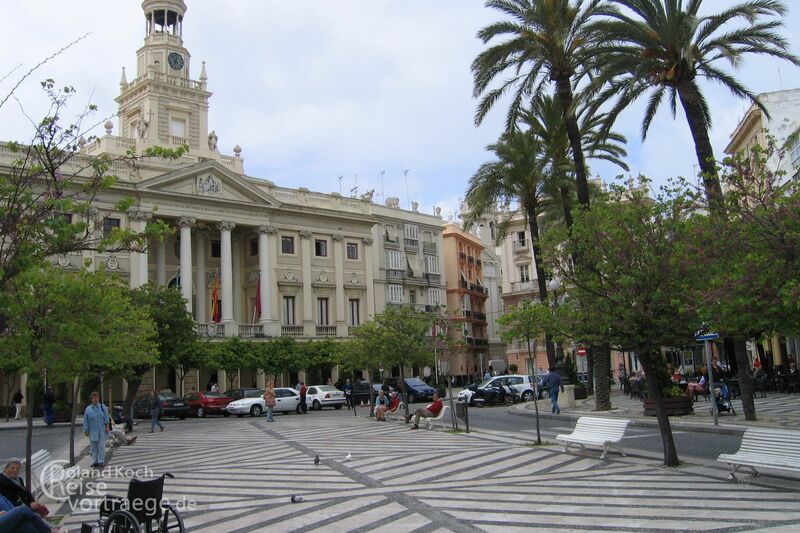 Fascinating travel pictures from the province of Cadiz, Andalusia: Cadiz, Cap Trafalgar, Vejer de la Frontera, Sierra de Grazalema, Ubrique, Zahara de la Sierra. 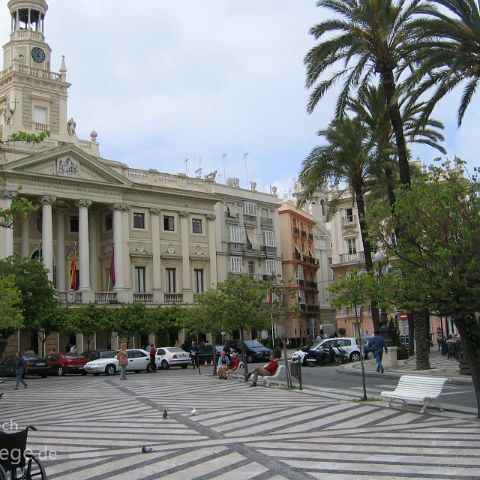 Cádiz is one of the oldest cities in Western Europe. It lies wonderfully at the end of a promontory - only 20 km long dam over marshland to reach and has a worth seeing old town. 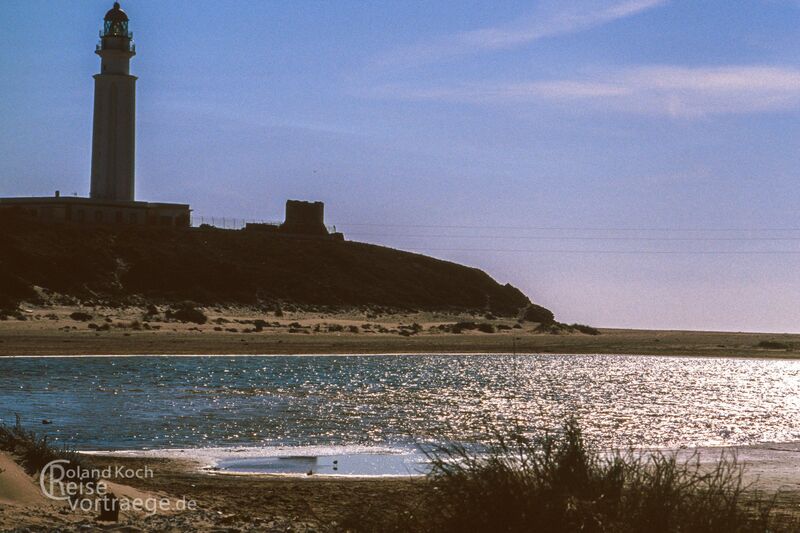 40km south is the Cape Trafalgar a popular meeting place for kite surfers. On 21.10.1805 the famous sea battle of Trafalgar took place here. 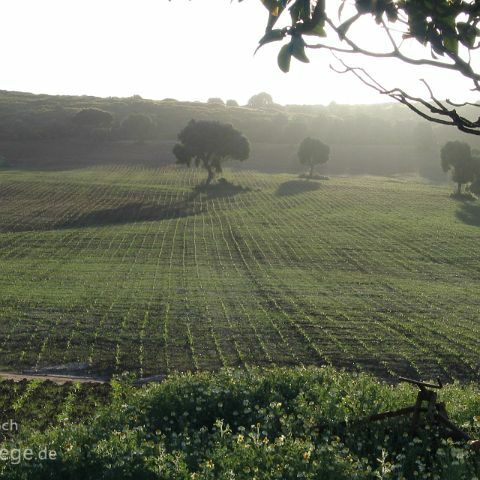 The Sierra de Grazalema was already declared a nature park in 1984. The Sierra de Grazalema is a limestone mountain range with deep gorges and up to 1,654 m altitude and is the first hurdle for Atlantic inland moving clouds. Enjoy watching.